WE'RE HERE TO HELP, TELL US WHAT YOU WANT TO DO? Click above to WATCH the POWER STAND in action. Perfect for events, brand activations, trade-shows or conferences. Charging Stations from Charge Spot allow for the easy charging of a broad range of devices. This service is particularly invaluable in circumstances where communication is crucial – festival goers, venue patrons and event guests often find mobile charging vital, particularly if they’re away from a charger for an extended period of time or are already low on battery. 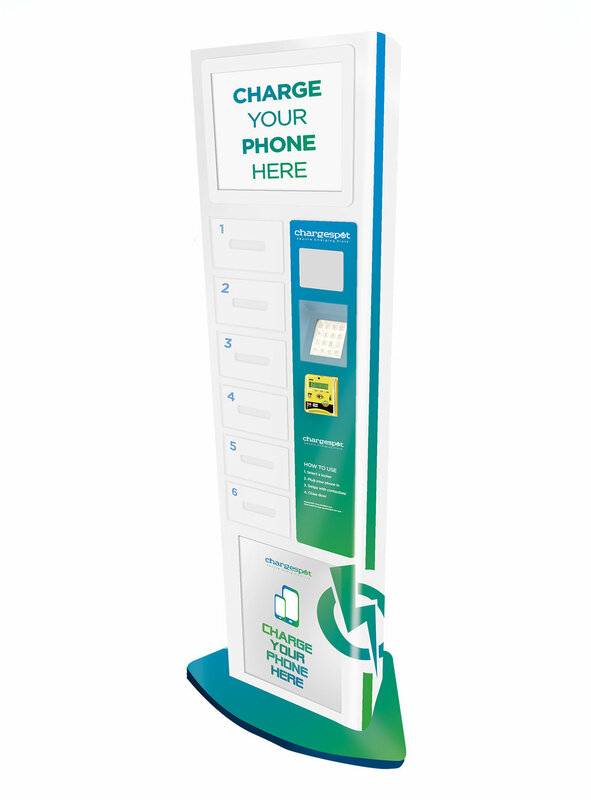 By offering the option to have a mobile phone charging station, you can ensure that event attendees are less likely to remove themselves from the premises to seek out another charging station or go home. 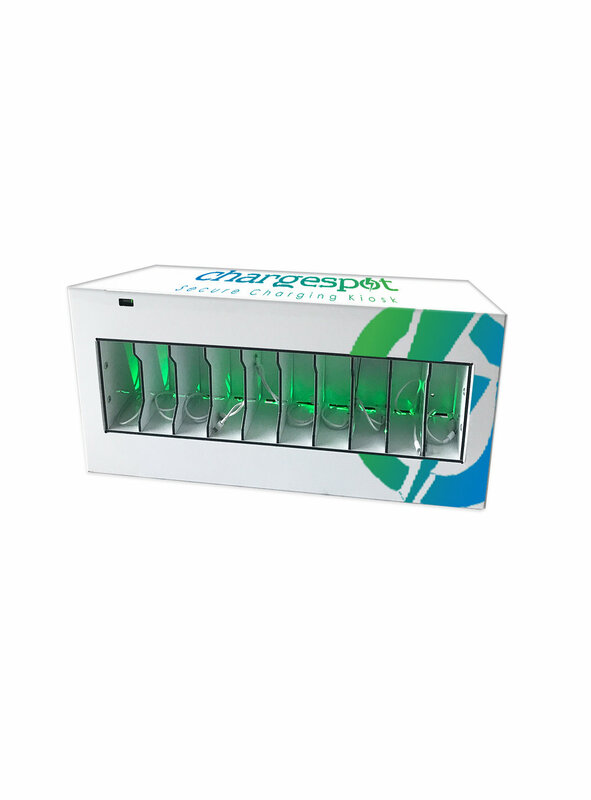 Charge Spot can cater to large or small power demands with ease. We offer the option for venues to rent a single power module or rent enough secured lockers to be able to charge thousands of devices at the same time. Wait times are minimised with a highly efficient and innovative charging system, ensuring a consistently reliable service that results in pleased patrons, every time. 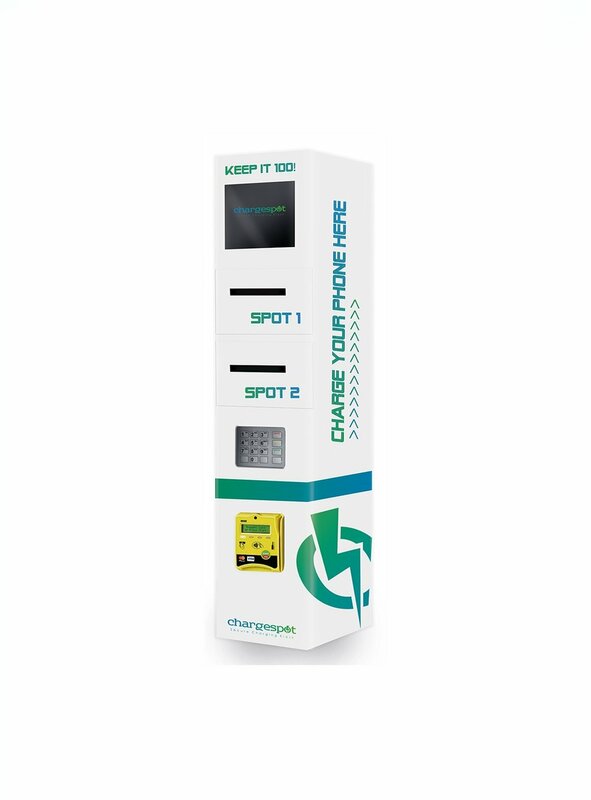 Charge Spot provides our clients with a range of charging options to ensure that a tailored solution is allowed for every kind of situation. From comprehensive event charging solutions and digital power stands, to wireless bar tables and compact power mounts, you’ll be able to find a charging solution that will suit your circumstances perfectly. Charge Spot has developed trusted associations with some of the biggest festivals and events in Australia, including The Falls Music and Arts Festival, The Australian Grand Prix, and we’ve forged ongoing relationships with large corporate bodies, such as Jeep, Optus, and Bank SA. With thousands of other venues around the world already using Charge Spots with excellent results, we recommend you take the time to invest in one today! 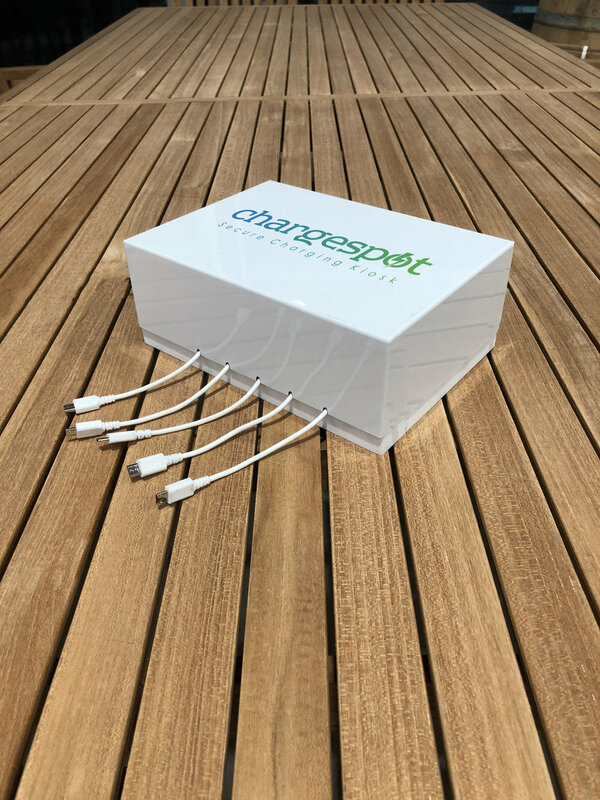 If you have any questions at all for the Charge Spot team about our range of mobile device charging stations, how to hire for music and corporate events, or charging stations recommendations, get in touch today. We offer our mobile charging station hire for events and businesses all over Australia, including Melbourne, Sydney and Brisbane. BOOK AHEAD OF THE EVENT AND SAVE! Heading to a music festival this year? Don't get caught out with a dead phone. With ChargeSpot unlimited charging you can drop your phone off for a charge as often as you like. Get in early and pre book your unlimited festival charging and save. Don’t stress about a dead phone at falls! With Unlimited charging you can drop your phone off as many times as you want for the entire festival at our charge station in the main arena. Limited spots available - pre-book so you don’t miss out!! Don’t stress about a dead phone at falls! With Unlimited charging you can drop your phone off as many times as you want for the entire festival to any of our 4 locations.